Barbara Barrett, the FDFA’s new Executive Director, enthusiastically greeted the association’s operator members, before updating them on Communications, Stakeholder Relations, Member Outreach and Government Relations. “Your board has accomplished so much; it is a thrill to work with this board. And I am really looking forward to work with the rest of you (the members) and get to know you over the next few days,” Barrett began in her opening remarks. Stressing the importance of communication, Barrett has already issued a newsletter, even though she has only been with the Association for two months. Future editions will be further developed and include more member-supplied reports of interactions with each store’s community. Speaking of Social Media, which the FDFA has used sparingly up until now, Barrett stressed that it is important to be part of the conversation. 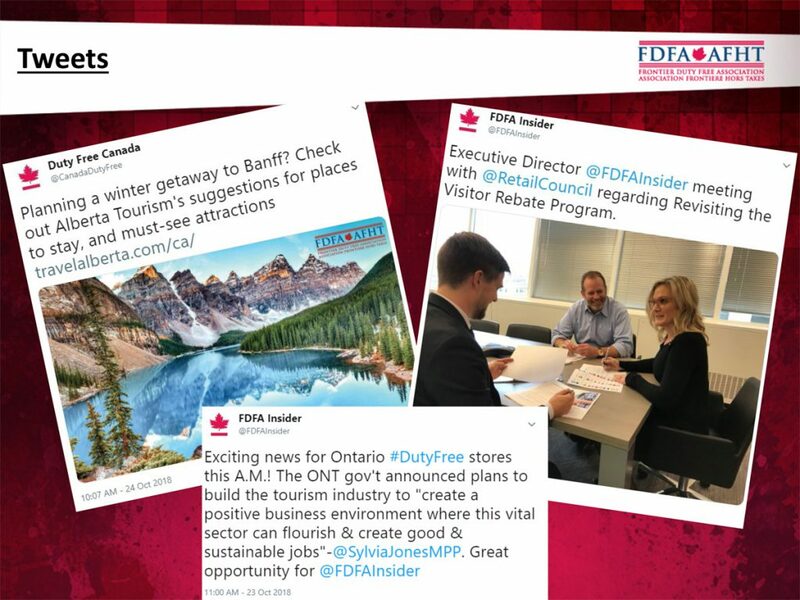 Focusing first on the FDFA platforms on Twitter (the consumer-oriented @Canada DutyFree, and the more association-focused @FDFAInsider), she has developed a calendar of planned tweets for the rest of the year, and also plans to send information to the media at least once a month. FDFA will also develop its Facebook platform. “The idea is to be part of the conversation. We want the decision makers to see what we are doing. So please share your community activities with us so we can post them for you,” she told the operators. Barrett said there are a number of organizations FDFA should be partnering with in order to make its voice stronger. 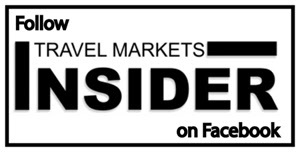 These include the Retail Council of Canada, the Hotel Association of Canada, the Tourism Industry of Canada, the Canadian Airports Council, the National Airlines Council of Canada and IATA, among others. The Retail Council of Canada, for example, has just released a study on the impact of the cancellation of the Visitor Rebate Program ten years ago. The Council is looking to work cooperatively with FDFA and other stake-holder groups to advocate for the reinstatement of the program. Barrett reports that initial meetings with Conservative and Liberal ministers have been positive. “FDFA will be part of this conversation moving forward,” she notes. The FDFA will also participate in a National Roundtable on Travel and Tourism. “I think it is important that we have a seat at the table,” said Barrett. The FDFA also had an information gathering meeting with the USMCA – (The United States–Mexico–Canada Agreement free trade agreement that is pending between Canada, Mexico, and the United States.) Negotiations have been concluded, but the agreement has not been signed or ratified as of today. “We wanted to let them know that their decisions will impact us,” she noted. Barrett expects the FDFA’s relationship with the Canada Border Services Agency (CBSA) to continue, especially since the two organizations are located in the same building. What are the next steps, she asked? “This is your association and the only way forward is if we are all engaged,” she said. The FDFA is looking at ways to mobilize its members on a grass-roots level, ranging from coordinating MP store visits during parliamentary breaks for member stores to designing activity kits to provide resources to individual members to engage with decision makers. The Association is also preparing a Parliamentary Partners Program kit to help members raise FDFA’s profile and influence with the federal government year-round. Barrett also enumerated some key target issues for the coming year, including an outreach with key MPs and bureaucrats, preserving cigar regulations and revisiting the Road Trip program.